With all of the processed foods out there that have an ingredient list as long as a phone book, it’s refreshing that there are companies going in the opposite direction. One such company is Fresherized Foods, which has brought us the Wholly Brand of guacamole and salsa for a while now. 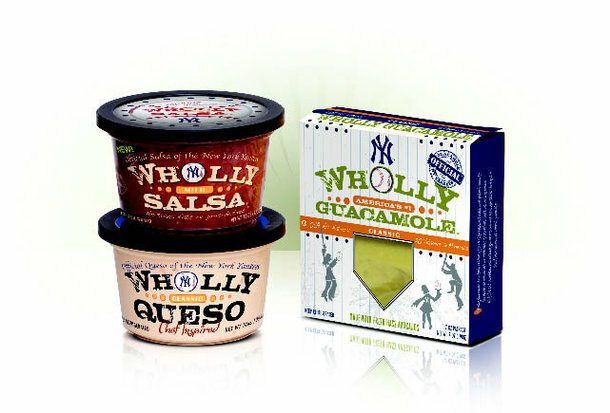 Well, now they have taken snacking to a whole new level, with the introduction of Wholly Queso dips. Wholly Queso is made with real cheese and vegetables, and you have to refrigerate it, which is always a good sign when you’re trying to put less junk in your body. Wholly Queso Classic–This was the more orange tinged queso, and instantly you can tell this is restaurant quality stuff, not the kind of queso you find in a jar near the Doritos. The taste is fresh and has both a sharp cheddar bite and nice chili pepper undertone. Wholly Queso Blanco–This one was my favorite. It was even more authentically Mexican and had more pepper flavor, and an even sharper cheese bite. Plus, it was spicier than the Classic, and spicier is always better. Wholly Salsa–The salsa also comes in a refrigerated tub and is incredibly fresh tasting, just like the stuff you get in most Mexican restaurants. The tomatoes were abundant with just the right amount of onion and jalapenos, but the only thing that would have made it better was if there was some cilantro. Of course, you can always add your own. Wholly Guacamole dip–If you don’t have time to make guacamole and are looking for something quick and easy yet healthy, this is the stuff. You cut open the pouch and squeeze it into a serving bowl and start dipping. It’s creamy and homemade tasting, and, like the salsa, it also doesn’t kill you with onions. The spicy version of the guacamole is even better, but only if you dig spicy food. If you don’t, you’ve probably stopped reading by now anyway. Wholly Party Dip–This is the guacamole with a layer of spicy pico de gallo on top. The pico de gallo is really spicy, and again, not too onion-y. The combination of flavors is incredible and really works. And the best part is, all you do is open the container and start dipping!